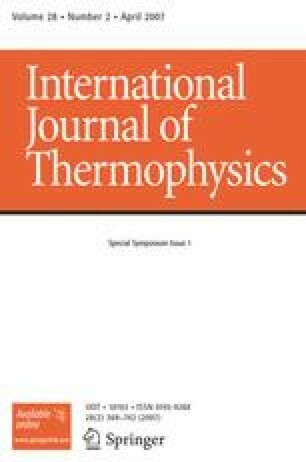 Flash methods have become one of the most commonly used techniques for measuring the thermal diffusivity and thermal conductivity of various kinds of solids and liquids such as metals, carbon materials, ceramics, and polymers. Easy sample preparation, small sample dimensions, fast measurement times, and high accuracy are only some of the advantages of this non-destructive measurement technique. However, the accuracy of measurement and level of uncertainty of the resulting data are becoming increasingly important for countless industrial applications. Instruments must be checked to determine the uncertainty of the system at different temperature and application ranges. One way of checking the accuracy of the results is to cross-check the unit with certified reference materials. However, there is a lack of standard materials for thermal diffusivity/thermal conductivity all over the world. Furthermore, for some available standards, the thermophysical properties are known only over a limited temperature range. Presented in this work are thermophysical property measurements on a certified thermal conductivity standard, Stainless Steel 310. Tests were carried out between −125 and 1000°C.